Blockonomics is an online payment processor that offers services to online merchants and crypto coin users. You can make secure transactions with its partner merchants while businesses can be sure of fast payments. There is more to know about this platform that makes it one of the highest rated crypto exchanges today by reviewers. You can know more about it here and other info that might help you. You can start trading in Blockonomics once you already linked your account with your wallet. Setting up an account only takes five minutes. It supports HD wallets like Trezor and you need to have one of the wallets it supports. If you are a buyer, you do not need to pay for any fees, while there is a $10 monthly fee for merchants. You can also choose to pay the annual fee of $102. While it only accepts Bitcoin so far, one good thing about Blockonomics that sets it apart from other exchanges is it directly puts the payments into your account. The reason for that is simple: it is decentralized. 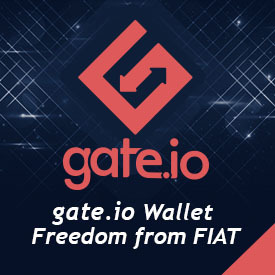 Most exchanges require you to provide them with your bank account, where this exchange asks you to give them your wallet. This makes transactions here fast and simple. Another feature that Blockonomics offers is the Wallet Watcher. What it does is it monitors your coins, making sure that it is safe and secure. You can link all your wallets in this exchange and it will monitor your balance. You will receive updates via email so you will have an idea of the status of your wallets. The newest feature of this exchange is the BTC Mail, which allows you to send coins via email. This is possible because this feature uses a split key generation for distribution trust. If you are going to send coins to someone, you generate the first key and send it to the receiver. This payment provider has the second key and sends it to the receiver. You have to share the first key to the provider as well to combine both keys. The receiver has to have both keys to access the coins. These features of Blockonomics allow everyone to have smooth transactions and easy access to their wallets. You can also be sure that your crypto coins are safe and secure. If you consider trading your coins, you can check out this provider’s website to know more about its services.